Vasco Traveler Premium 5" is an innovative device for all travel enthusiasts. An advanced speech translator with precise GPS navigation and a telephone, allowing you to receive free incoming calls around the world. It's a great choice for every traveller. 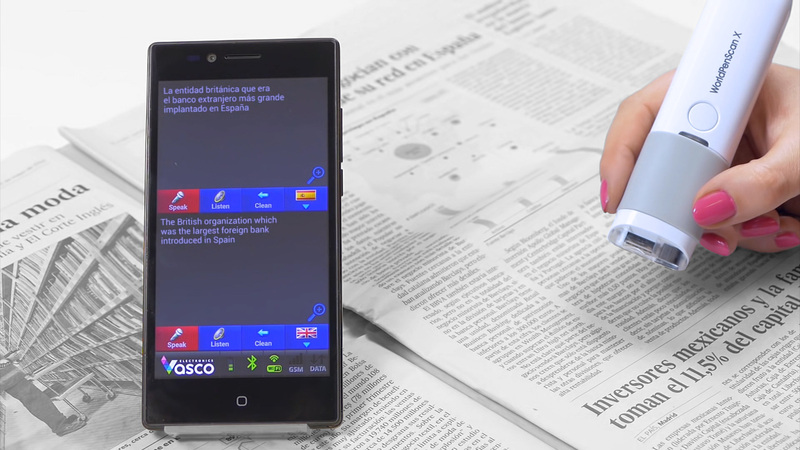 Moreover, Vasco Traveler Premium 5" is equipped with a handheld scanner, which facilitates the entry of text for translation. The scanner allows for a fast translation of text in a foreign language, i.e. articles in local newspapers, documents, letters, restaurant menus or even books. A detailed description of the Vasco Traveler Premium 5" can be found on the product sub-page. Scanner specifications and a list of languages ​​that are supported can be found here.